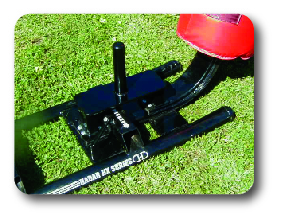 Made of carbon steel and powder coated for toughness and durability. 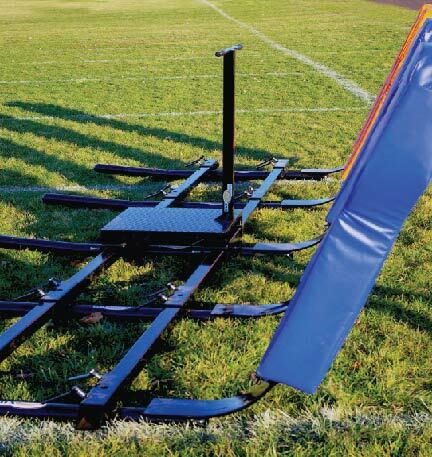 The HX Blocking Unit features the kipped tail to drive and lift the whole weight of the sled. 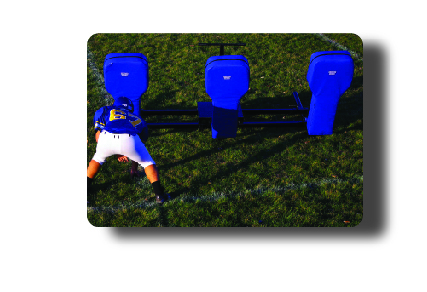 Players must control the whole weight of the sled to create proper technique. 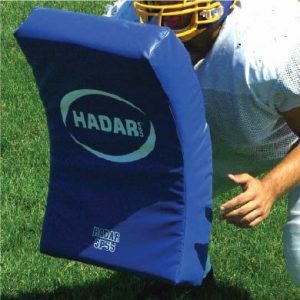 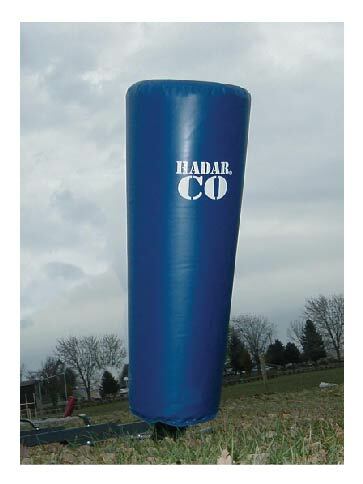 Coach using three basic shapes, or contact your local team dealer for custom sled pads. 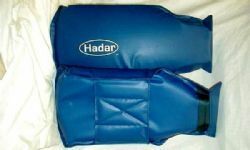 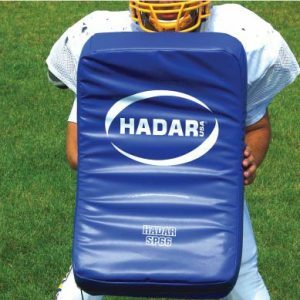 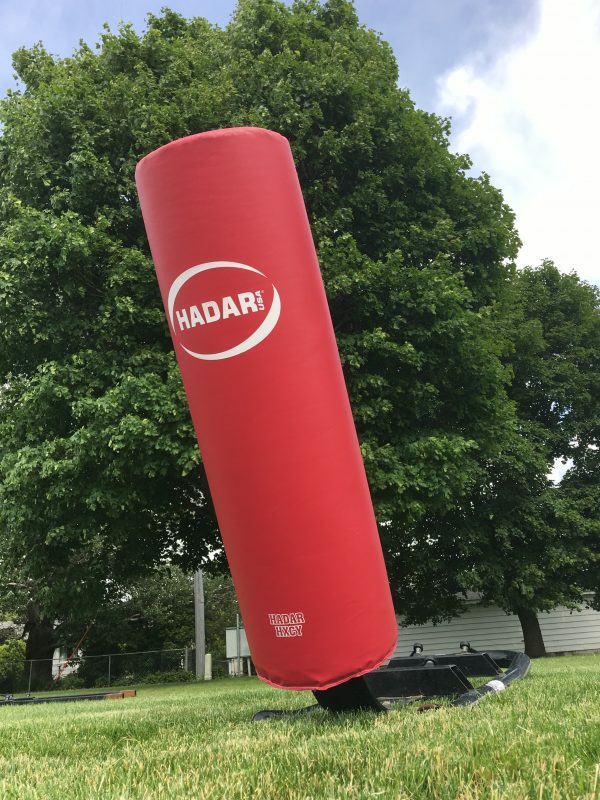 Multiple additional features include: optional coaching platform, weight attachment, use with other Hadar Sleds. 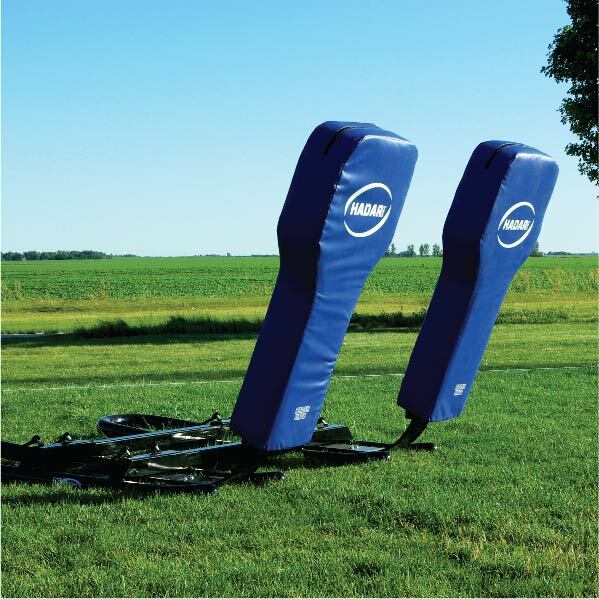 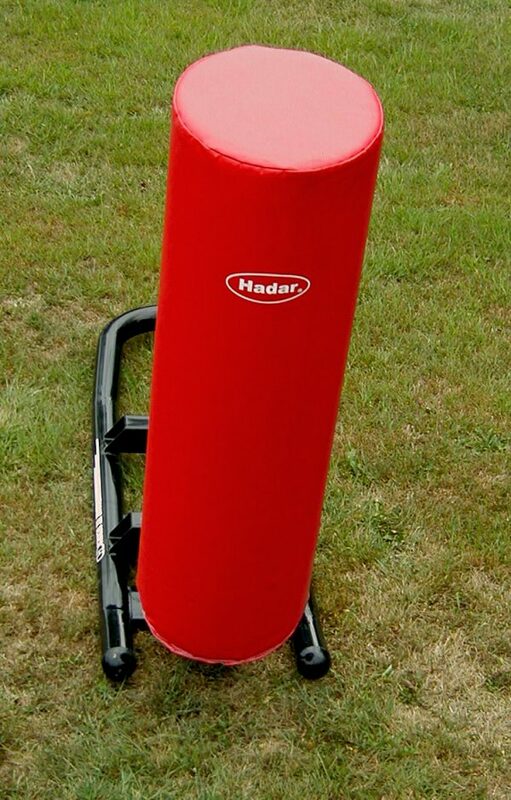 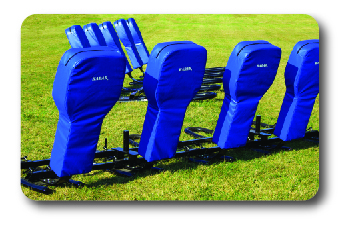 Individual tackle sleds also available. 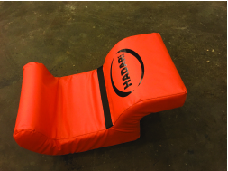 No tools, wrenches, pliers, etc. 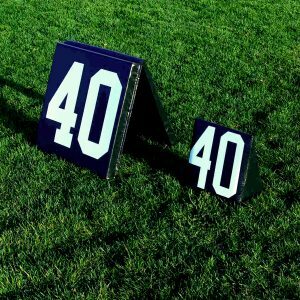 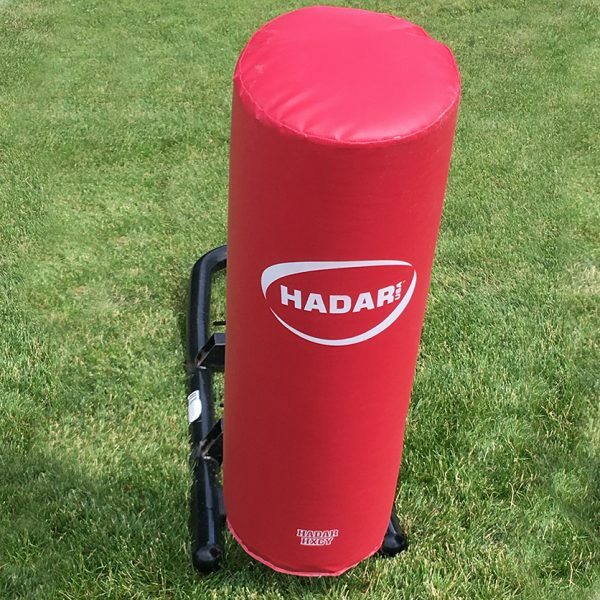 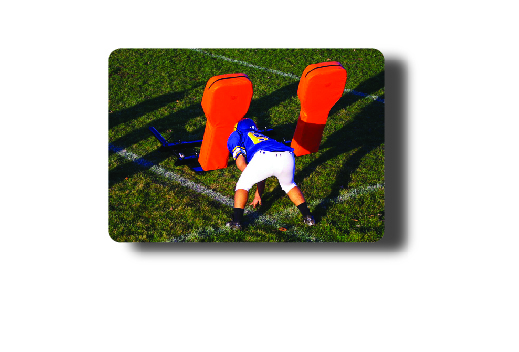 needed to connect or disconnect components of any sled on the practice field. 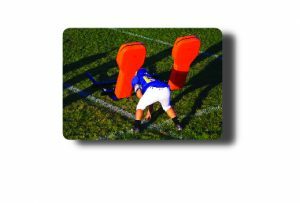 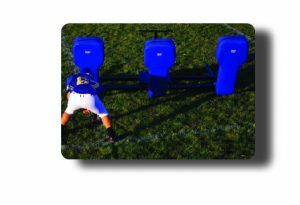 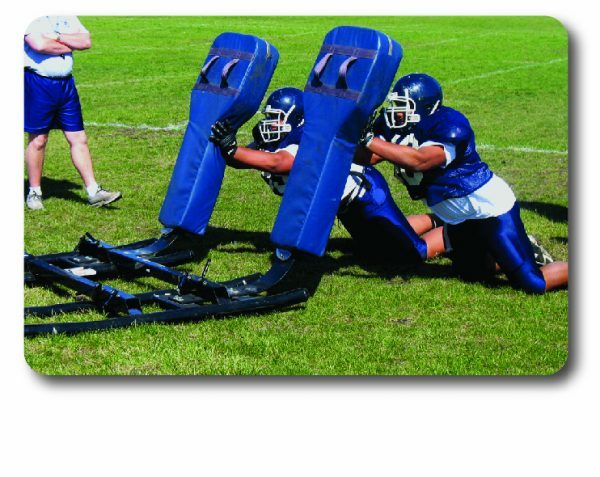 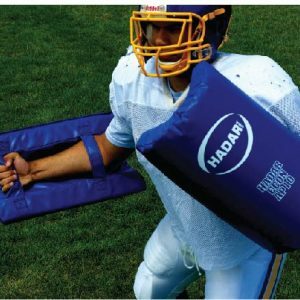 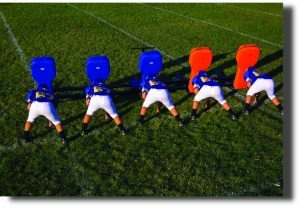 Turn your 5-man sled into a 3-man and 2-man sled with no tools, in the middle of practice, on the football field.